« Jean knits and knits beautiful garments! There is a Scottish Dunsmuir dancer amongst us! Shari squeezes in knitting between her dancing (and work of course). She and her husband John have been dancing for about 16 years and are part of the Dunsmuir Scottish Dance Ensemble. Shari often knits her accessories for their costumes….not long ago she knit a Shetland shawl for one of these dance events…..what we see here today is John wearing his Toirneach (pronounced teer-nacht) kilt hose….of course knit by Shari in O-Wool – 100% organic merino. The pattern is from Knitty. 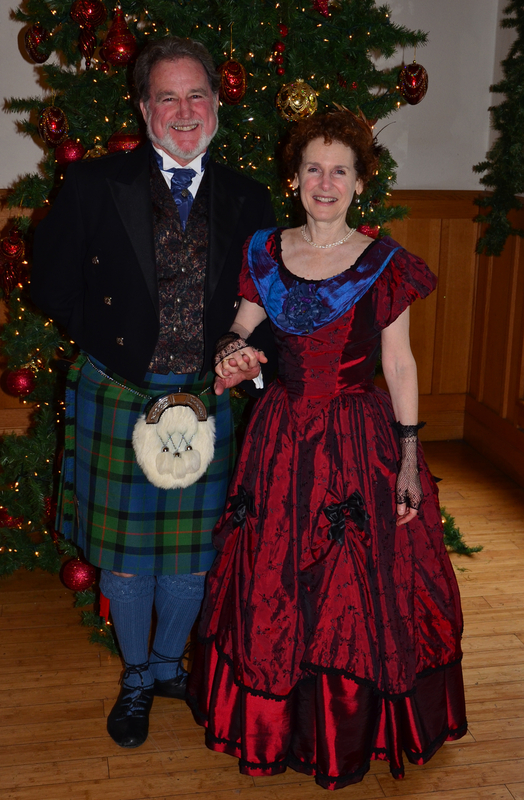 These dance/event photos were taken last Sunday, Dec 16 at The Dunsmuir House Estate in Oakland. Be sure to scroll down to not only see the details of the socks….but a group photo as well.